There’s that tell-tale crunch of the littlest Lego under your foot, your 5-year-old is about to meltdown because he lost the last three pieces that will complete his plastic brick city and you’re ready to take a trash bag to the entire play room. Wait! 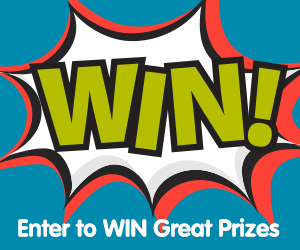 Yes, we all know that even a seemingly small box of Lego can turn into a major mess in under 10 seconds. What can you do to put some organisation back into Lego land? These storage hacks help keep things neat in ways that are both easy and imaginative. 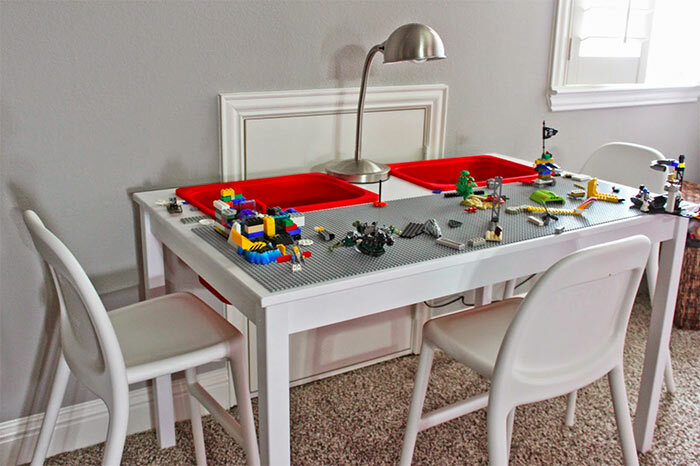 But, if you’re looking for lego tables specifically, we have 21 fantastic lego table ideas here. 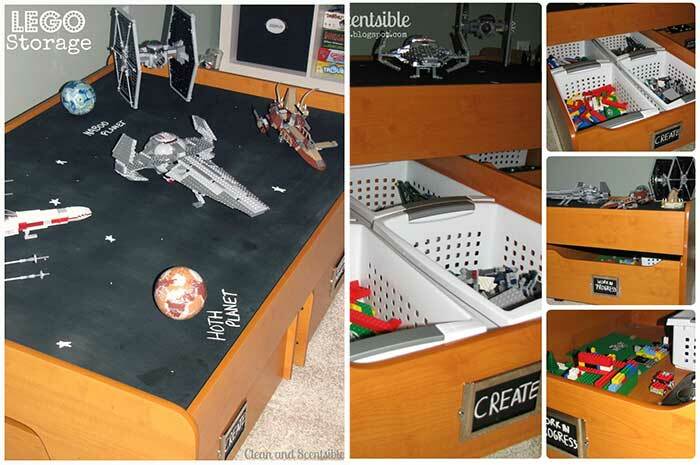 Use clear plastic drawers as a base for a kid-friendly play table like Our Wee Family did. 2. 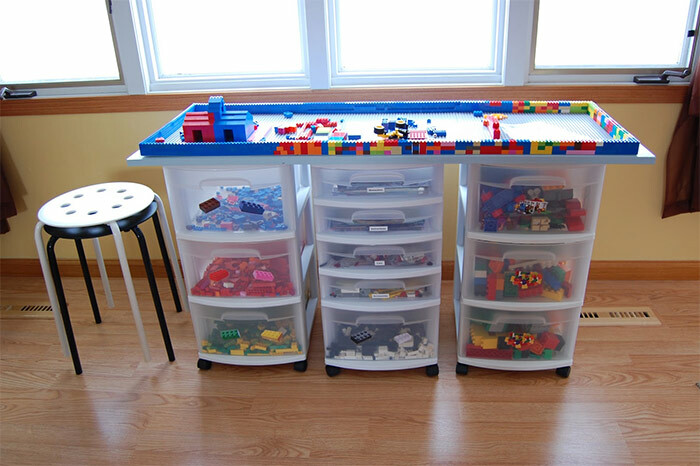 Clean & Scentsible converted an old train table (that the kids outgrew, and didn’t want to play with anymore) into a Lego storage space. 3. Make the adjustable height storage station from That Mommy Blog, using Ikea’s Trofast. 4. 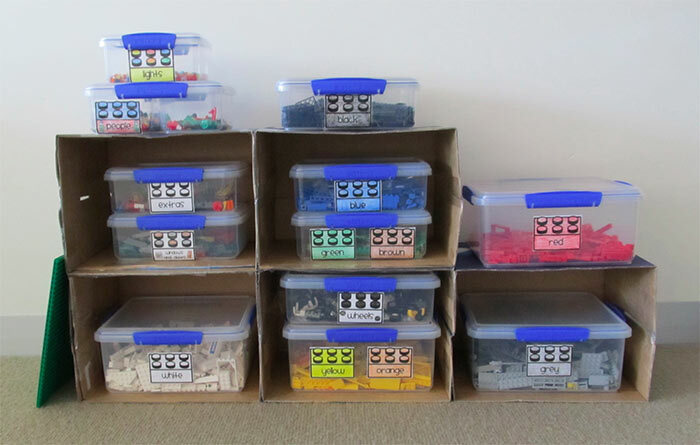 I Heart Organizing took the storage process a step farther and organised the plastic bricks by colour! 5. 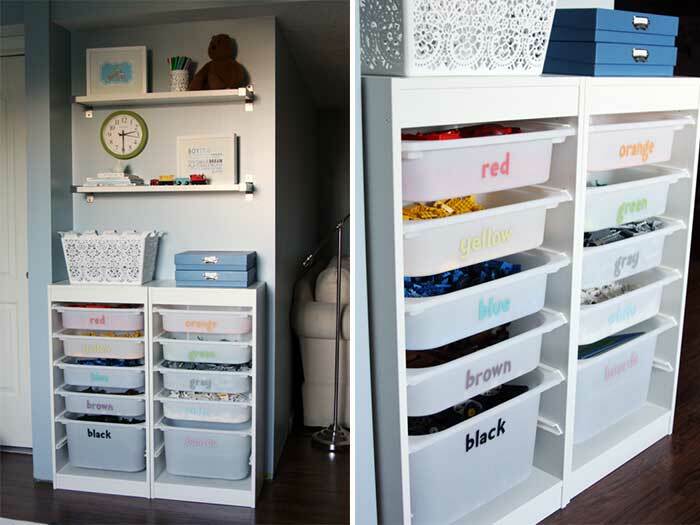 Build upwards with stackable clear bins like Simply So Organized. 6. 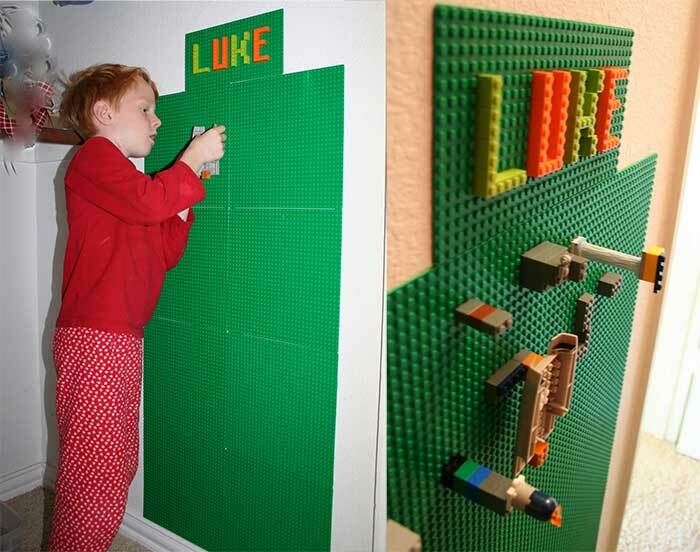 Make the Lego wall from Dukes & Duchesses in your child’s closet. 7. 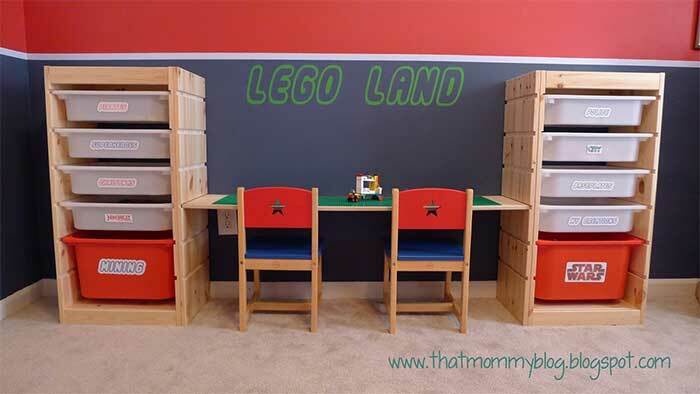 Create these cute Lego labels from Boy Mama Teacher. 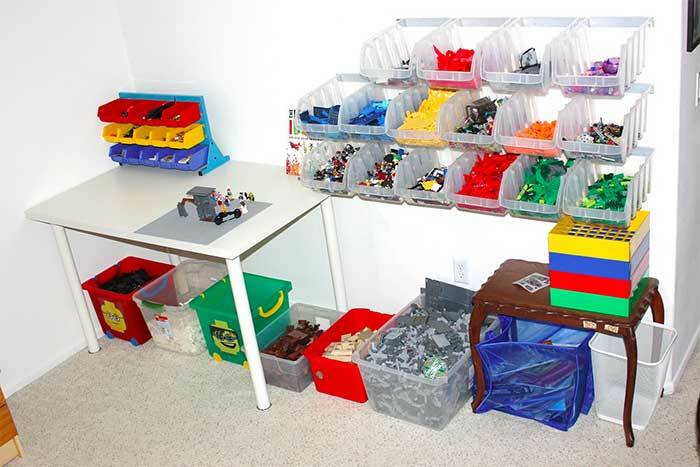 Add them to bins to keep the bricks organised by colour. 8. 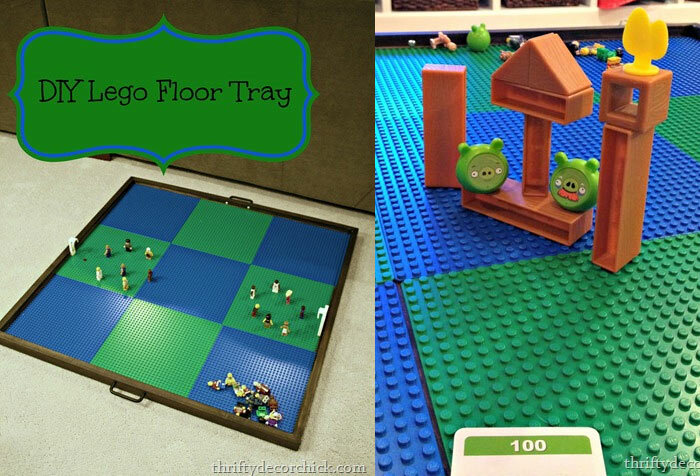 Stash the Lego under your furniture with Thrifty Decor Chick’s DIY hideaway tray.